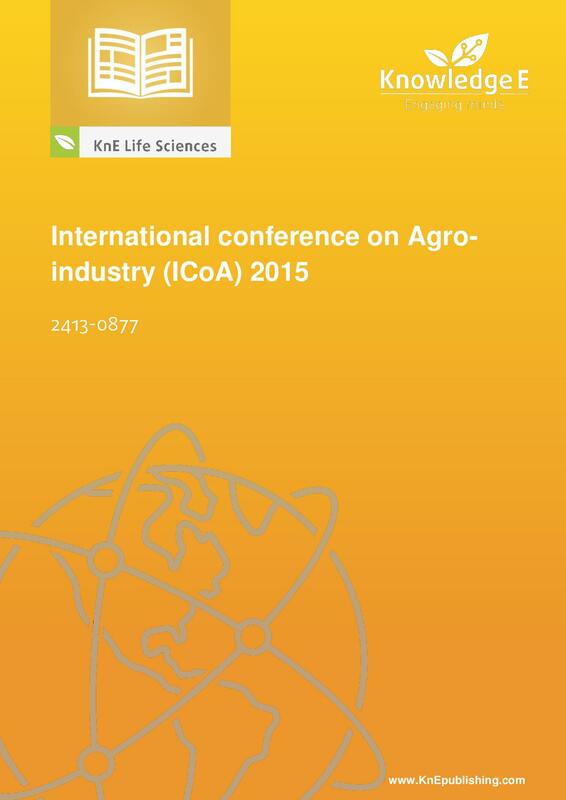 The second annual International conference on Agro-industry (ICoA) was organized on 7–9 November 2015 in Matsuyama, Japan. The conference was also supported by the Department of Agro-industrial Technology, Kasetsart University Thailand. The conference was aimed to bring researchers, academicians, scientists, students, and practitioners together to participate and present their latest research findings, developments and applications related to the various aspects of agro-industry. The selection of published papers was based on its merits and relevance to the contribution of agro-industrial development. Possibilities of Government’s Intervention on Canned Fish Industry based on LCA Approach.